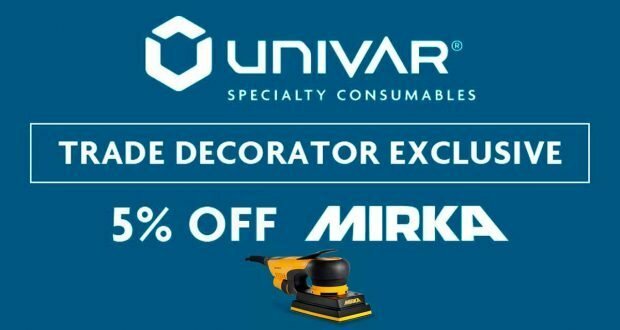 Univar Specialty Consumables (Univar SC) have teamed up with Trade Decorator to offer visitors to the Trade Decorator website an exclusive promotion on their range of Mirka products. As an official Mirka distributor in the UK, Univar SC carries a wide range of Mirka products including a variety of sanding bundles that are perfect for the professional decorator. For the month of March, Univar SC has teamed up with Trade Decorator to bring readers an exclusive offer. 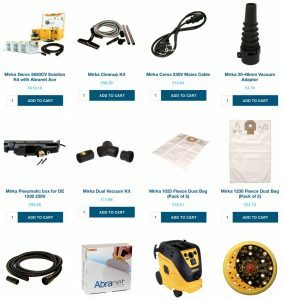 To make it even easier you can purchase Mirka items from inside Trade Decorator. The transaction will be handled via the Univar SC online checkout and goods will be shipped from their warehouse in Tamworth on a next day delivery. 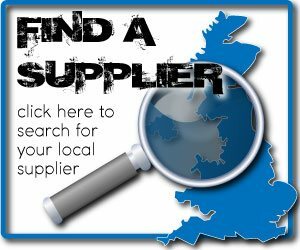 With over 130 years’ experience supplying world class products into the UK industrial and automotive sector Univar SC bring a wealth of technical expertise and experience to the table to provide you with professional quality products for almost any task with industry leading customer service as standard. This unique way to access this exclusive promotion is designed by Univar SC to improve your experience online, emphasising their commitment to customer service. You can find out more about Univar SC at univarsc.com.